SC-20 streak camera systems have a particularly large detection area of 35 mm x 4 mm as well as a large useful screen with 40 mm diagonal. 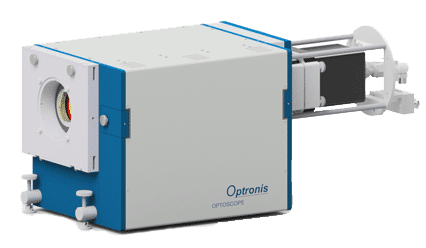 Optical signals are focused onto the fiber optical input window without requirement of demagnification. A version with UV fiber optic input window is proposed. The slit mask is used in direct contact with the input window. The mask can be exchanged. Alternatively to a fixed slit, the input optics can be completed with an adjustable slit and coupling optics as well as object lens mount and shutter. 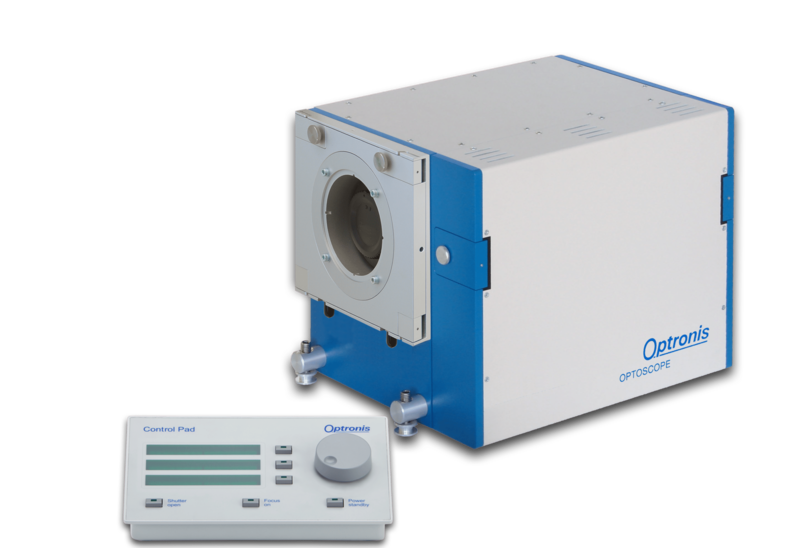 The SC-20 systems provide sub-Nanosecond temporal resolution for applications in the field of detonics and plasma physics research. A SC-20 streak system consists of the main unit SC-20 with input optics, sweep unit and readout camera. An image intensifier can additionally be used. Spectral sensitivity is application adapted by selecting photocathode type and input window version. A photocathode gating function is integrated as standard. 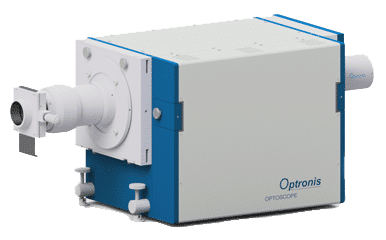 Image intensifier as well as readout camera are fiber optically coupled to obtain a compact system. The temporal resolution of streak camera systems is determined by the streak camera itself but also by the trigger configuration used to synchronize the camera to the optical signal. 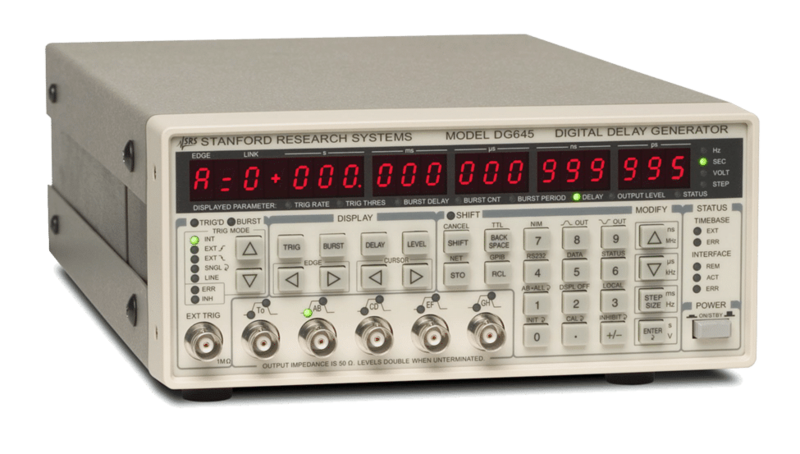 When selecting the trigger configuration, trigger delay and temporal relation between optical and electrical signals need to be considered. Therefore, the selection of light source or exciting laser system has to be completed priot to consider a particular trigger configuration. This description provides an overview of typical setups. Select the distributor for your country here and ask for “AN-Trigger Configurations for Streak Cameras V2”. The article describes how a streak camera is used to measure the detonation velocity by observing the optical radiation emitted from an explosive compound. Detonation velocity is a key characteristic of explosives and describes the velocity a chemical reaction propagates through the material. During the explosion a slit image is streaked to provide temporal and spatial information. As sweep speed can be selected over a large range, detonation velocities of slow but also very fast energetic materials can be measured. Select the distributor for your country here and ask for “AN-Detonation-Velocity”. 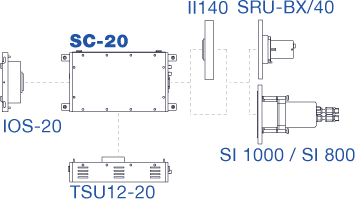 The components of the SC-20 based streak System are available as 3D models in STEP and DWFX Format. Please ask here for the relevant components and format. We will be happy to send you the data.